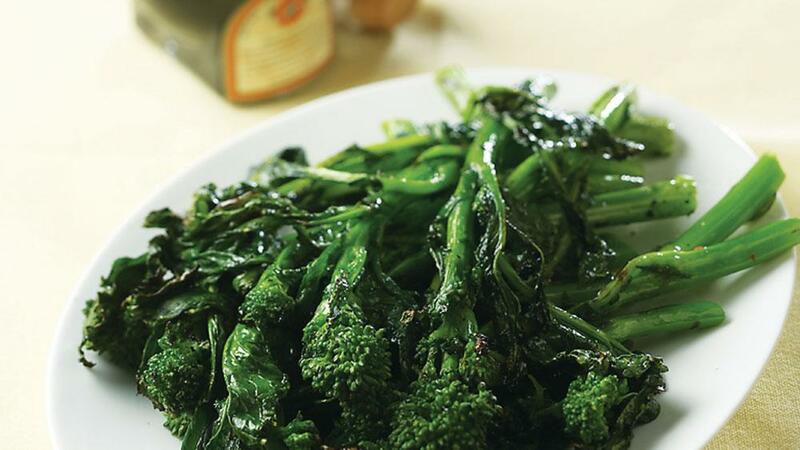 Blanch broccolini in a pot of salted boiling water, 2 minutes. Immediately transfer to a bowl of ice water to stop cooking, then drain. Toss with oil, salt, and pepper, then grill 4 minutes, turning occasionally. Drizzle with balsamic before serving.